Home / News / Dropship Centrefeed with Fourstones. 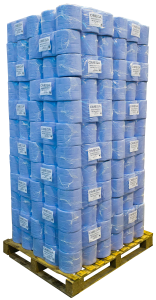 Dropship centrefeed, toilet roll and other consumable paper products is a well-received service provided by Fourstones Paper Mill. Take the hassle away and Dropship Centrefeed with Fourstones today! If you have yet to learn what the term dropship or drop shipping means, it’s simple. Drop shipping is the simple act of placing your customers order directly with your supplier (Fourstones!). From this point, the supplier (Fourstones) deals with all the stock handling and dispatch involved. Potentially giving you better margins for less effort. What are the benefits to drop shipping my orders with Fourstones? 2) We take full responsibility. Once you place your dropship order with us, you can relax. Fourstones is a well-established manufacturer of paper disposable products. We have the experience and equipment to handle and manage large volumes of stock. This will not only save your company time in terms of double handling, but also reduce the chance of stock accidentally being damaged in your warehouse. 3) You do not have to make space for stock. As the goods you order go directly to your customer, you no longer have to make space for it. This is ideal for companies of all sizes. Whether your premises is not large enough for you to handle the volume you want, or you simply want to hold more stock and expand at a faster rate. 4) We take care of delivering the goods. As the goods go straight to your customer, we handle the delivery. Saving you time and energy that can be focused in other areas of your company. Most importantly, you are not paying for two lots of transport! We are more than happy to discuss which transport companies we use as well as special instructions. 5) You only pay for what you sell. There is no risk of the goods you buy sitting in stock unsold. Drop shipping allows you to sell exactly the right amount of goods to the customer, no longer do you have to risk buying in bulk to appease customer demand. 6) Explore new product lines. Are you interested in selling a new product line such as Fourstones Incontinence Bed Pads? Why not test the scale-ability of the range before buying in bulk. With a dropship approach, your product lines are unlimited. 7) Offer something your competitors cant. Fourstones offers an own label product option for qualifying orders currently at no extra cost! If you have a regular customer who buys in bulk. Get in touch with us and see how we can help add value to your products. To find out more about this service, click here!